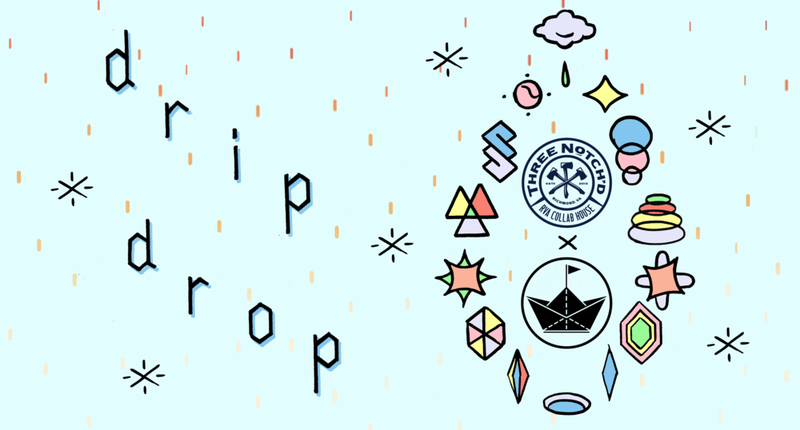 We teamed up with Three Notch'd RVA Collab House to create DRIP DROP: a blush New England Style Double IPA with a creamy hopped backbone, accentuated notes of stone fruit and juicy flavor. Their head brewer Stefan McFayden guided us through the brewing process. 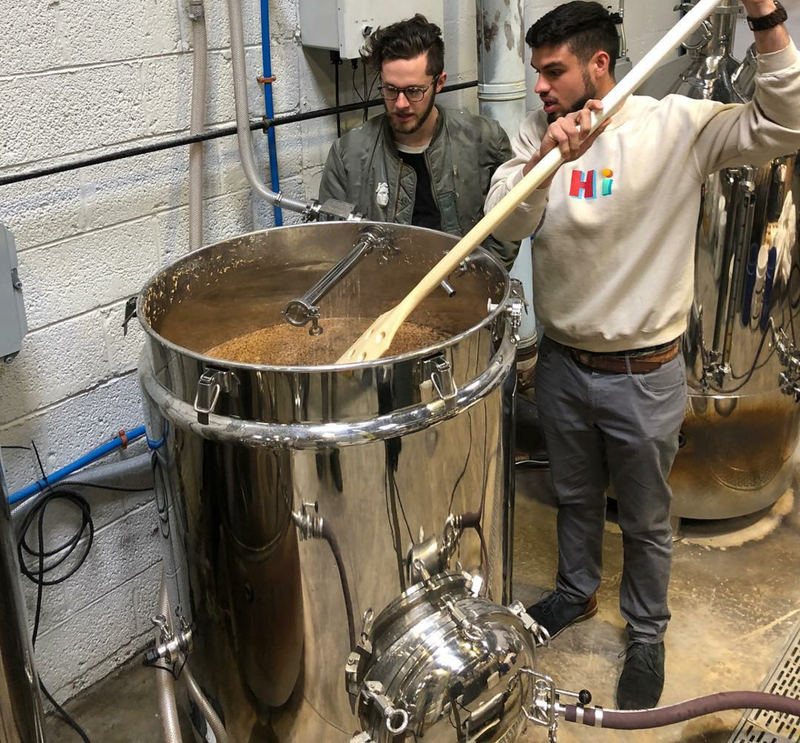 Aside from adding healthy doses of Amarillo and El Dorado hops to this beer, we also transferred the wort into fermentation tanks and did a fair bit of cleaning. We released DRIP DROP at the Three Notch'd in Richmond's Soctt's Addition district May 10th, 2018. The night had music, beer specials and special glassware just for the release. Chase Beasley and Jerred Fykes helped us do it right by taking over their Artist wall for the month. Nevertheless, the festivities didn't stop there. For our First Fridays Exhibition the following month, our manager Nick got down to business and crafted a special peach version to DRIP DROP featuring freshly squeezed peach juice in the beer. All in all, we had a great time bringing people together over a cold one and some artwork with the great people behind Three Notch'd Brewing. To see more pictures of the shenanigans we get into follow us on Instagram.